What’s the shelf life of an unopened bottle of Jimmy Luv’s? (see Best Used By date printed on the bottle at the base of the neck). How long will a bottle Jimmy Luv’s® last once open? If refrigerated, all our products stay fresh for 3 weeks. Are all the Jimmy Luv’s® Mixes gluten free? Yes, all our products gluten free and have no added MSG. How many servings can I get from a bottle? The average serving container for a Bloody Mary or Caesar is a 16 oz glass. 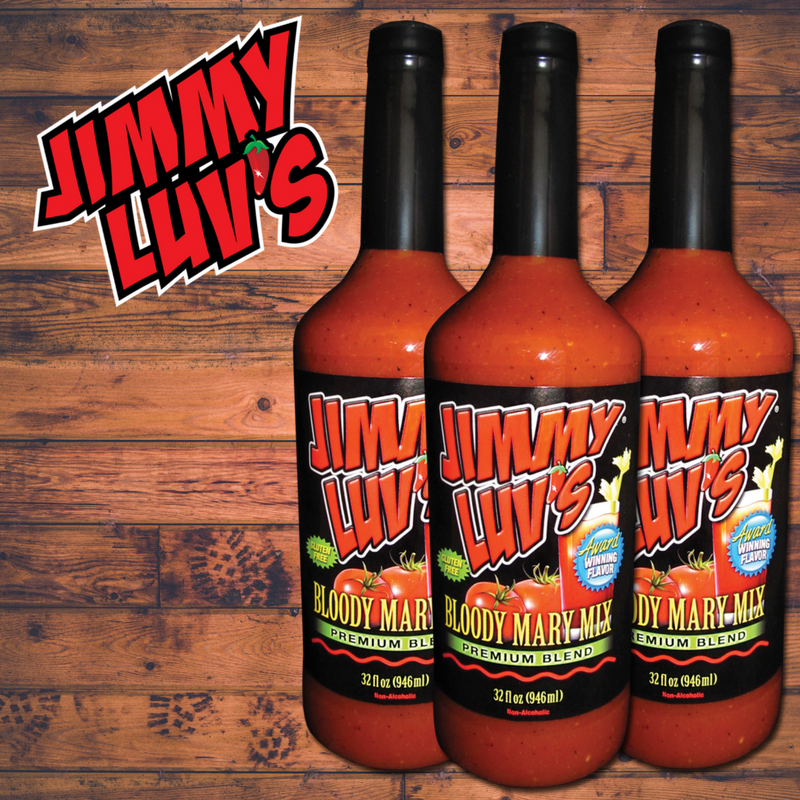 Mixed with ice and vodka, a bottle of Jimmy Luv’s® (32 oz) serves approximately 5-6 bloody marys and (1.75L) serves approximately 10 bloody marys. 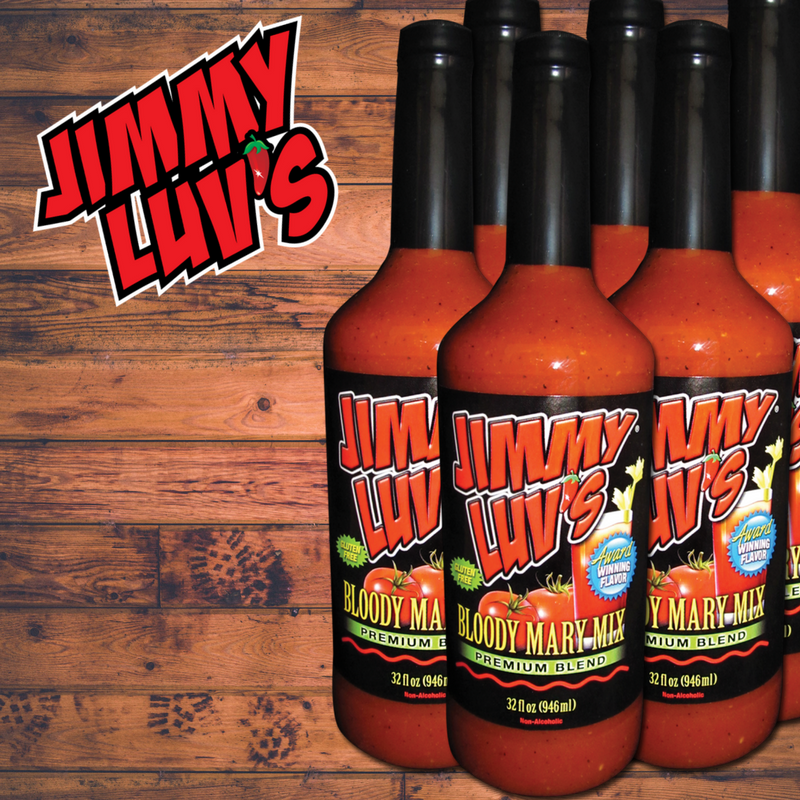 Jimmy Luv’s® Bloody Mary Mix is a premium blend of spices and special ingredients. 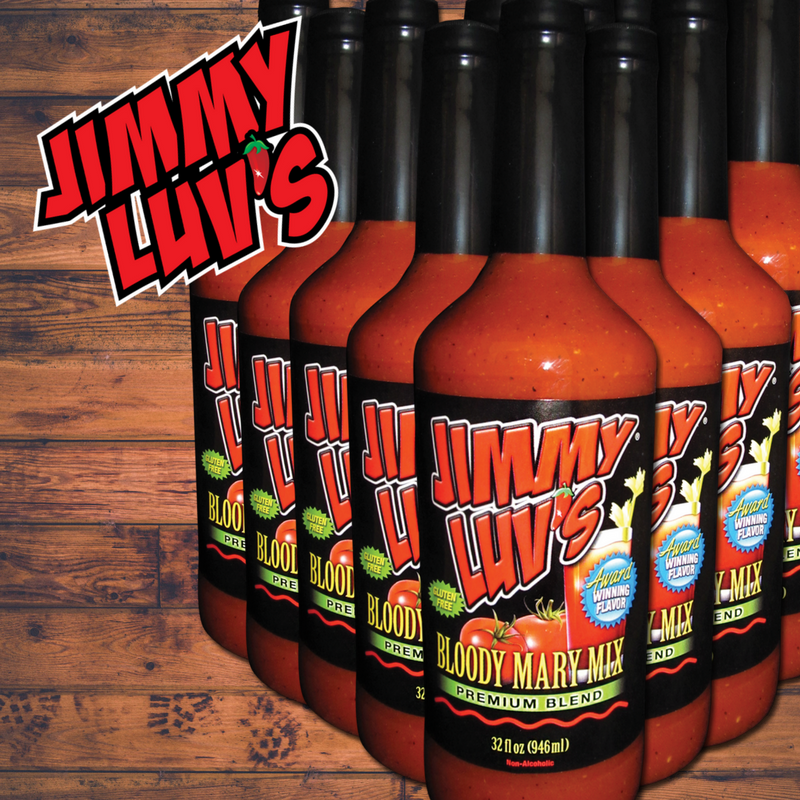 With a quality blend, such as Jimmy Luv’s® Bloody Mary Mix, separation does occur over time. Therefore, it’s important to Shake the Bottle, Wake the Luv™ before serving. 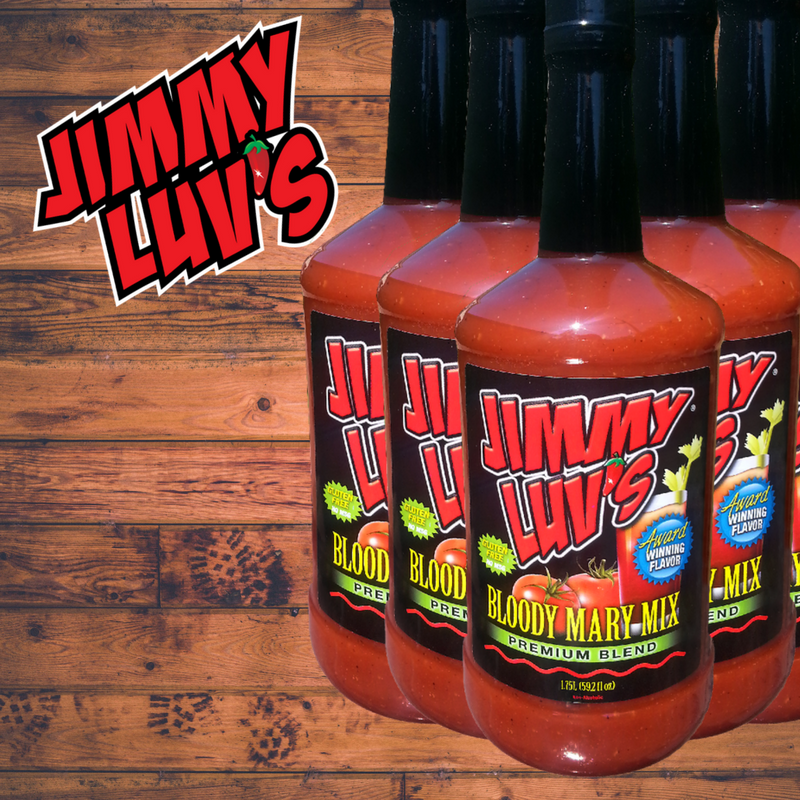 When mixing Jimmy Luv’s® Bloody Mary Mix with vodka, we highly recommend a mixing cup to ensure a balanced taste of mix and alcohol.